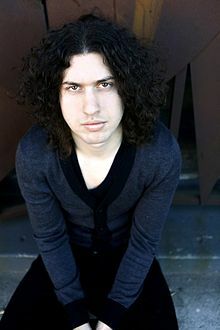 Tweet He’s only in his early 20’s, but Ilan Rubin has already put together a fairly successful career as drummer of the Lost Prophets and Nine Inch Nails. Ilan’s most recent project is the New Regime made up by guitarist Ilan Rubin, Drummer, Ilan Rubin, Vocalist Ilan Rubin and so on and so forth. The new album “Speak Through the White Noise” comes out April 26th. Recently I got a chance to chat with Ilan about the new album, what it’s like playing every instrument on the album and then finally the Trent Reznor experience. Zoiks! : Your new album is called “Speak Through the White Noise,” where did that title come from? Ilan Rubin: Lyrically, the majority of the album is about public fear and paranoia induced by a ratings hungry media. The constant 24/7 catastrophic news that hits people from every direction creates a sort of 'white noise' in my opinion. This album is a counter-broadcast, my take on the situation. (This should not be misconstrued as a political undertone). Z! : Is the new album a concept album? IR: While many of the songs share a common subject lyrically, I don't consider the album to be a concept album. Z! : How would you describe the sound of the album? IR: That is a very hard question to answer but I'll try to be concise! “Speak Through The White Noise” covers a lot of ground both musically and sonically. There's eerie content on the album, mellow, driving, rock, and bombastic music with plenty in between. I can confidently say that there's something there for everybody on this album. Z! : Is it correct that you played all the instruments and did the singing on the album? Was it challenging playing all of the instruments? What instrument if any gave you the biggest challenge? IR: It is correct that I wrote, played, and sang everything on the album but none of the performances were challenging. At times it can become a bit frustrating writing parts for every single instrument that you're 100% happy with but the satisfaction of completing something from top to bottom and creating every little piece is priceless. Z! : Where did the inspiration come from to do the album by yourself? IR: As The New Regime it was a conscious decision to do everything by myself from day one. I would say the idea came from the ability of already being to play different instruments well and hating depending on other people to get anything done. I get as much done whenever I want without having to consult other people and its fantastic. Z! : You’re a drummer by trade and when you play live, you bring in a drummer to play while you’re out front. Is it hard on your drummer to play with an accomplished drummer like yourself…who is also the boss? Z! : What was the Trent Reznor experience like and how did that come about? IR: The NIN experience was great. I really enjoyed the level of professionalism and work towards perfection. It goes without saying that the year or so of touring was fantastic and lots of fun. Trent saw me play at the Reading and Leeds festival in 2007 when I was with lostprophets. When Josh Freese announced he was leaving the following year, Trent emailed me and asked if I was interested in trying out and joining. I was and I did. IR: I have many musicians who are influences on different aspects of my playing and writing but Led Zeppelin, Queen, The Beatles, Jeff Buckley, Beethoven, Radiohead, and a few others are common threads.